Virginia House Delegate Kathy Tran, who has previously nursed her child on the House floor, proposed Virginia House Bill 2491, eliminating certain requirements for abortions in the commonwealth and putting regulations on hospitals and nursing homes across the commonwealth. 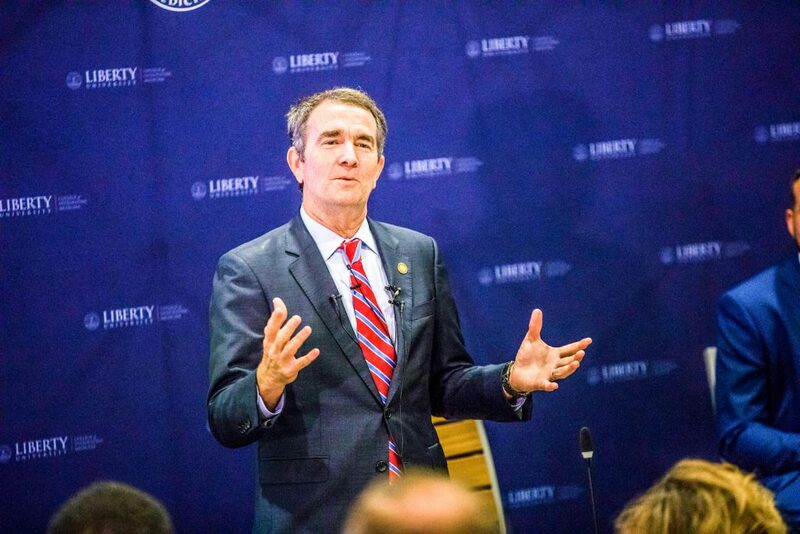 On Wednesday, Jan. 30, Governor Ralph Northam commented on the issue on WTOP radio. His comments caused a frenzy online. “So, in this particular example, if a mother is in labor, I can tell you exactly what would happen: the infant would be delivered; the infant would be kept comfortable; the infant would be resuscitated if that’s what the mother and family desired; and then a discussion would ensue between the physicians and the mother,” Northam said. 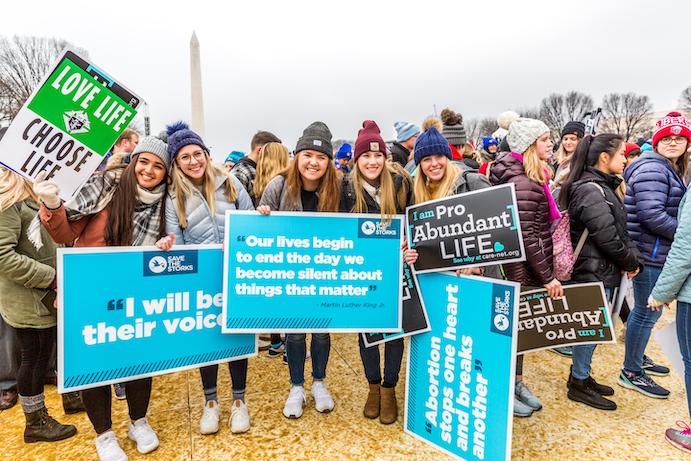 PROTEST — Liberty students demonstrated for the pro-life movement in January 2019. Northam’s comments were vague, but some political figures like U.S. Senator Josh Hawley, Daily Wire reporter Ryan Saavedra, Sarah Palin, U.S. Representative from New York Lee Zeldin, Rudy Giuliani, Jerry Falwell, and U.S. Representative from North Carolina Mark Walker said Northam was explaining infanticide. “Of those constituents who have contacted me on House Bill 2491, the overwhelming majority have expressed their opposition, particularly after all of the media coverage surrounding the bill. Governor Northam’s comments were reprehensible and sickening. The description of House Bill 2491 has revealed the truth behind abortion, and it has shaken the hearts of people in my district and across the nation,” Virginia House Delegate Kathy Byron, who represents parts of Lynchburg, Bedford County, Campbell County and Franklin County, said. Currently, there are no specific requirements for abortions in the first trimester, according to Virginia Code Title 18.2-72. In HB 2491, this stays the same. “The bill eliminates all the procedures and processes, including the performance of an ultrasound, required to effect a woman’s informed written consent to the performance of an abortion; however, the bill does not change the requirement that a woman’s informed written consent be first obtained,” HB 2491 says. The bill allows for any physician licensed by the Board of Medicine to terminate any pregnancy in the second trimester, and the procedure does not have to be done in a hospital. This differs from current law (Virginia Code Title 18.2-73), which says that second trimester abortions have to be done in a hospital. Furthermore, both pieces of legislation say third trimester abortions have to be performed in a licensed hospital. HB 2491, a physician has to certify in the hospital record that continuing the pregnancy would lead to the death of the mother or impair her mental or physical health. There has to be life support available for the “product of abortion,” which is the delivered child. The pregnant woman also must give a written consent to have an abortion in the third trimester, unless she is incapacitated, in which someone who is a parent, guardian or standing in place of a parent may give written consent and allow the physician to perform the abortion. Lines 194-375 of HB 2491 outlines new regulations on hospitals and nursing homes. This accounts for 50 percent of HB 2491, although the bill is characterized as relating to abortions and abortion requirements. But HB 2491 is not looking to change the time limit in which women are allowed to get abortions. The status quo in Virginia right now defines a legal abortion to have no restrictions in the first trimester; second trimester abortions have to be done in a licensed hospital; and third trimester abortions must be in the case to save the life of the mother or if the fetus is not viable. HB 2491 was tabled to another session because of the media backlash the bill and Tran received. VISIT — Gov. Northam visited LUCOM in 2018.